DC twenty-somethings run this week in SuperQueeros and I pick sides on the Shay vs. Delphine debate! SuperQueeros: all that's lesbian, gay, bisexual, transexual, transgender, and queer in comics today! Fresh off of Saturday's Season 3 finale, this comic promises Allison spoilers and backstory for... Season 3? 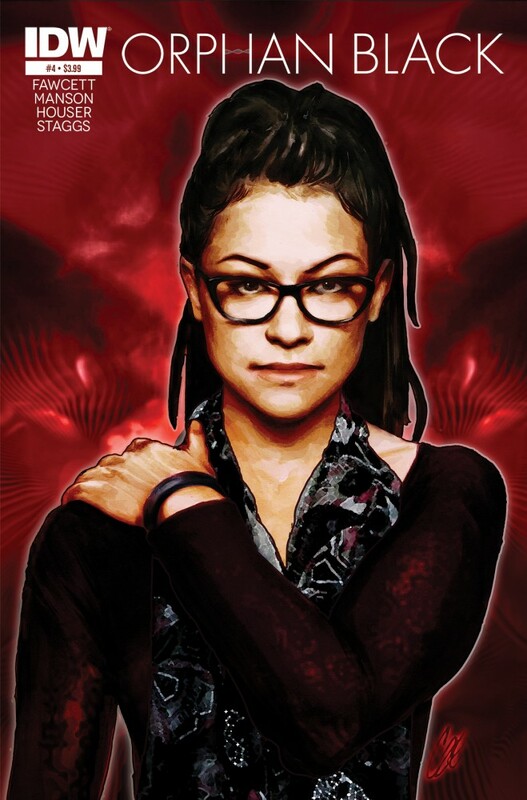 Well, as someone missing his Cosima-Delphine OTP, I'm going to hit up this comic for a fix. Plus I need something to distract me from my dream that the end of season 4 is the dramatic reveal of an undead French 'queero! Bunker and the teens start a new storyline. Their mission? To clear Superboy's name! As Babs' circle of allies expands, so does her competition: there's a new bat in town! Between these two digests there's evidently three new stories. Maybe one of them will have Kevin! This issue is Peppermint Butler-centric. 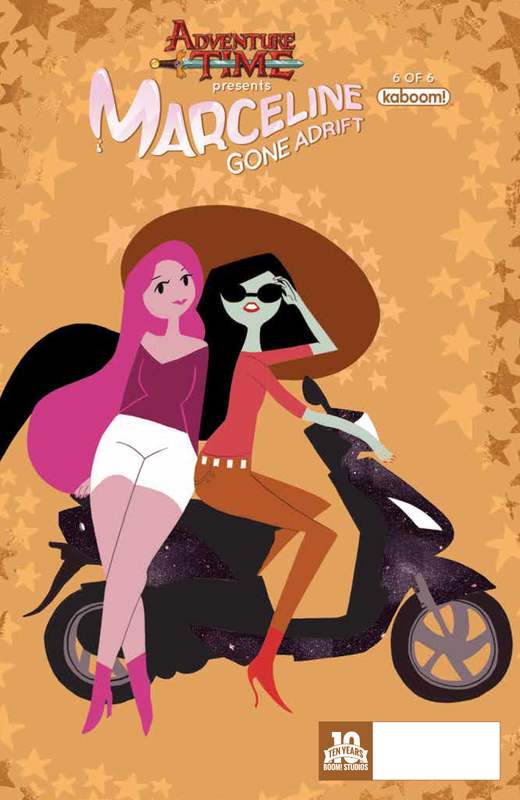 Maybe we will get some Princess Bubblegum too! All the teens of Gotham are now Robins! one of them has to be a 'queero, right? Did you go to FlameCon? Did you follow it on social media and have a BLAST? Why not come down from that high with some brand new... SuperQueeros: all that's lesbian, gay, bisexual, transexual, transgender, and queer in comics today! The unnatural blizzard is trapping Jen with the bear woman and getting us more explanation. 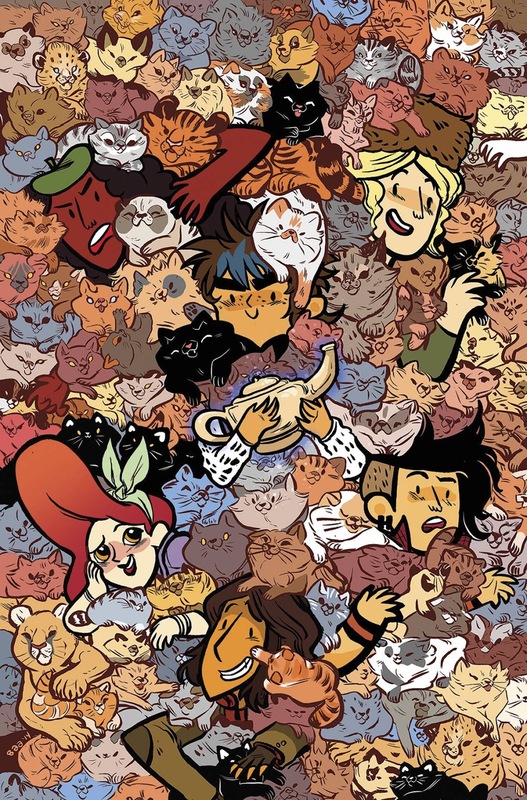 So while she learns all the secrets of the Lumberjanes, let's look at a cat blizzard! Angel crossover! How will Giles feel about his murderer coming back on the scene? Harley and PG re-live their never-published team-up that was only referenced between panels in a prior issue of Harley Quinn. So expect gutters-level of gravitas and Harley-levels of fun! 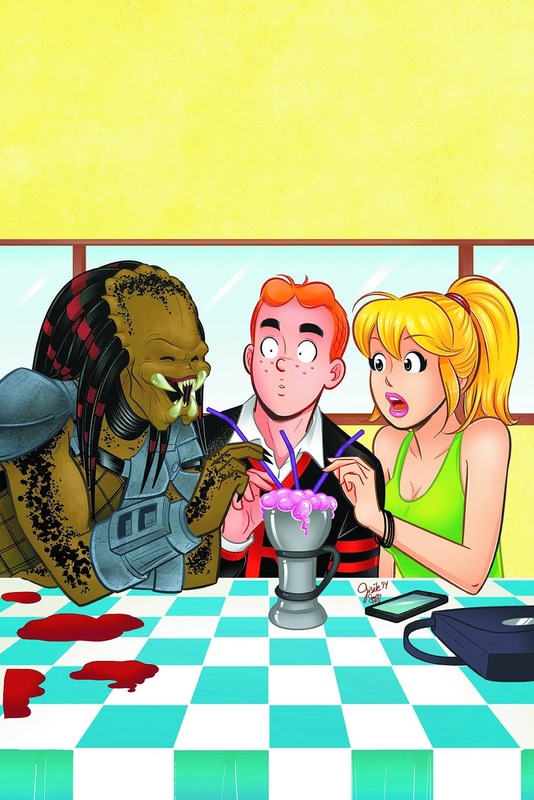 The thing about Kevin being in the main cast of the Archie gang is that I'm never sure how much of a role he's going to play in any one issue. But, just in case he gets more than a cameo, here's your heads up! Donna may be in Amazon prison, but she will have her revenge! While you wait for the weekend, why not check out some of these... SuperQueeros: all that's lesbian, gay, bisexual, transexual, transgender, and queer in comics today! 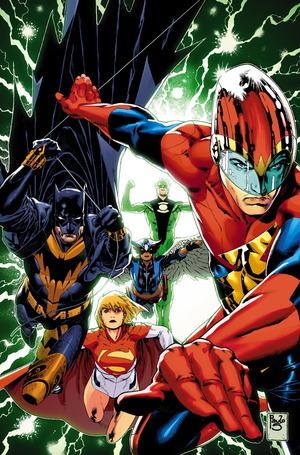 Convergence is done, which means a new Earth 2, a new Society for Justice, and new COSTUMES! A gang of Harleys hits the pages of her solo title, while in her gang's book, Harley leads the charge against some rogue assassins! The exes get back to Ooo and take back their queendoms! The outbreak's origin continues this month. How did the adults of Riverdale get us into this mess? The moment you've been waiting for: Maps meets Damien.